Golf balls are a crucial piece of golf equipment that is easily overlooked. Many golfers play whatever ball they get as a gift or ones they find instead of golf balls that fit their game. We give you a look back at the 5 best golf balls of 2017 and how they help your game. At the beginning of 2017, TaylorMade released not 1 but 2 5-layer golf balls, an industry first. 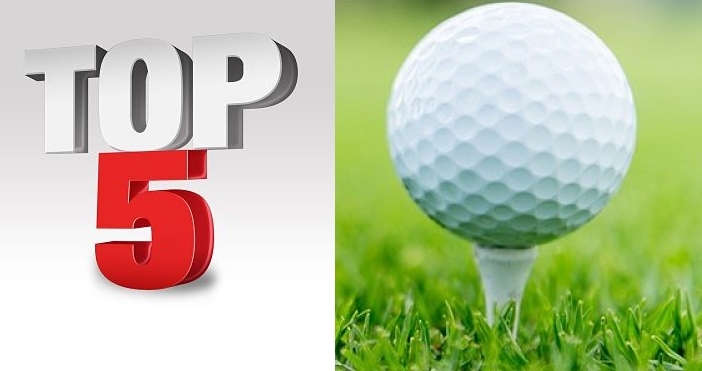 The TaylorMade TP5 and TP5X quickly became top performers in their category for amateurs and pros alike. The inner 3 layers get progressively stiffer as you move outward. This produces low spin and distance on full shots. The outer 2 layers combine to give the golf ball its performance around the green. Each ball gives a soft feel and optimal spin control on scoring shots. These balls also perform exceptionally in the wind. Their design reduces the effect the wind has on them, keeping them on their line. You’re probably wondering what the difference between the two golf balls is. 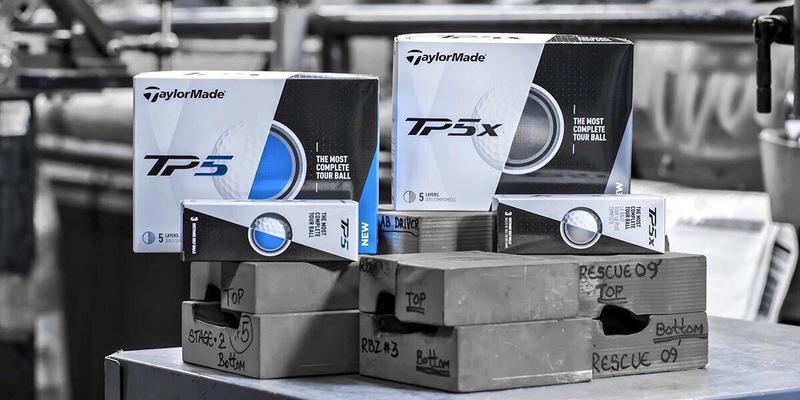 The TP5X feels firmer and launches higher than the TP5. You can check out our full review for more details on these. Srixon released the Z-STAR and Z-STAR XV, their top-performing tour level balls in 2017. The Z-STAR is a 3-piece ball and is perfect for swing speeds of 90+ mph. It is softer than previous generations of Z-STAR balls, boasting a new dimple pattern and more energy efficient core. The Z-STAR XV has a firmer feel than the Z-STAR and is ideal for swing speeds over 100 mph. The 4-piece construction launches higher, with lower spin than the Z-STAR as well. The Z-STAR XV has the same dimple pattern as the Z-STAR but a bigger core. Both golf balls deliver distance on full shots and significant spin around the green. Read our review for the full story on these. 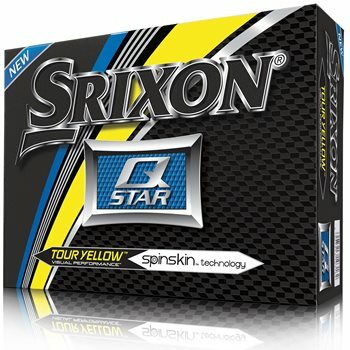 Completing the Srixon golf ball line-up are the Q-STAR and Q-STAR TOUR. Here’s a brief description of each. The Q-STAR is in its 4th generation. Despite being a 2-piece ball, it produces the tour-level performance you’d expect from a 4-piece ball. The inner core, proprietary SpinSkin coating, and dimple pattern are all improved from prior models. The Q-STAR’s moderate compression rating (75) works well with all swing speeds and comes in white and “Tour Yellow” colors. The Q-STAR TOUR aims to take your performance further. The 3-piece ball gives a tour-level performance to players with moderate swing speeds. Each of the layers come together to give low spin off the driver and low side spin, keeping more full shots in play. The new dimple pattern makes these golf balls more accurate into the green too. 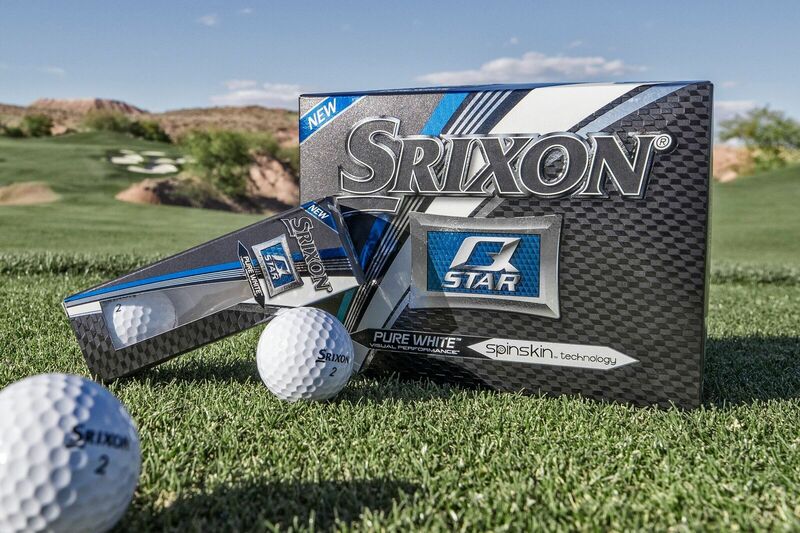 Finally, the Q-STAR TOUR has a 75 compression rating, which gives the ball its soft feel. Be sure to check out these full reviews of the Q-STAR and Q-STAR TOUR for all the details. Titleist ProV1 and ProV1x have been the standard in performance for pros and amateurs alike. Titleist took the task of improving the ProV1 series of golf balls very seriously. The newest generation of the ProV1 and ProV1x have different features but both are aimed to improve performance in windy conditions. Here’s a closer look. 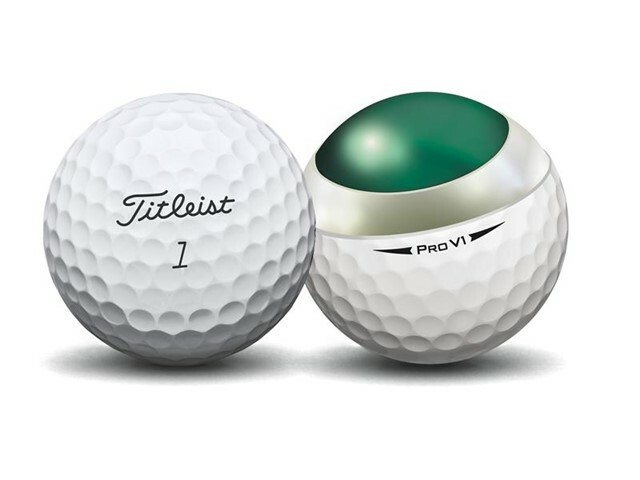 The ProV1 is a 3-piece ball with an improved core, dimple design, and softer cover. The core gives low spin off the driver and higher ball speeds. The new dimples are what gives the ball its performance in the wind. The new cover has a softer feel than the ProV1x and produces increased spin around the green. The ProV1x has 4 layers, including the same core as the ProV1. The cover has fewer dimples than the ProV1, giving the ProV1x higher ball flight. The extra layer is the difference maker between these 2 golf balls. It gives the ProV1x more iron spin and greater stopping power around the green. 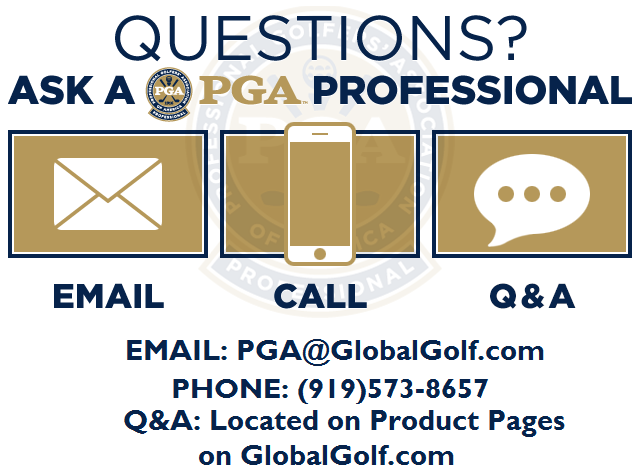 To get more details, please read our review that covers both golf balls. The conclusion of 2017 saw the release of the Wilson Staff DUO Soft golf ball. This golf ball is the company’s softest, longest, and straightest ball to date. The DUO Soft has a compression rating of 29, which softer than any other 2-piece golf ball on the market. The new dimple pattern gives improved distance off the tee and keeps the ball in play, helping lower your scores. The DUO Soft also comes in 5 highly visible matte color options. We spoke with Wilson’s Golf Ball Innovation Director, Frank Simonutti, to get the complete story behind these golf balls. You can read what he told us here. We hope you enjoyed our list of the best golf balls of 2017. Are you playing any of these? Leave a comment below and let us know what you like or don’t like about them.